Attention all dog lovers! The USDA has sided with substandard dog breeders and the puppy mill dogs need your voices – NOW! 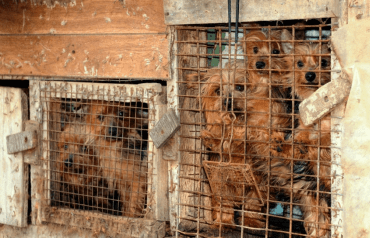 In a stunning setback in their efforts to increase enforcement of the Animal Welfare Act (AWA), USDA has suddenly reversed course and decided to, once again, tolerate substandard conditions at puppy mills. 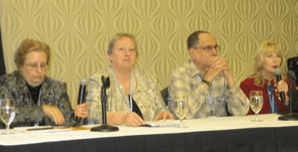 Dr. Chester Gipson, USDA’s chief of enforcement for the AWA, recently told animal advocates that the USDA needs “to enable breeders to sell their dogs to pet stores” and citing violations is an impediment to such sales. In the past few years, many municipalities have enacted ordinances restricting pet stores to only purchasing puppies from breeders with no violations on their federal inspection reports. These ordinances are intended to protect consumers from buying dogs from substandard puppy mills. Shockingly, USDA has made the decision to help substandard breeders circumvent these ordinances and to continue to sell puppies in spite of continuing violations. USDA has recently instructed their inspectors not to cite breeders for “minor” violations as such documentation is making it more difficult for breeders to sell their puppies. When questioned as to their definition of “minor,” or as to how many minor violations of the Animal Welfare Act will be ignored per facility, and for how long such violations will be tolerated, USDA responded that it will be left up to the individual inspector and admitted that no guidance has been provided for the inspectors. At a recent meeting of dog breeders, USDA officials told breeders that, “if at any time a violation has the potential of affecting your business, please call our office immediately and let us know,” emphasizing that USDA stands ready to enable breeders to market their dogs to pet stores. In an effort to further aide substandard dog breeders, USDA has hired a long-time puppy mill lobbyist and advocate, Julian Prager, to be its “Canine Advisor.” Mr. Prager’s duties will include assisting in the training of USDA inspectors. Ironically, Mr. Prager has consistently opposed all laws regulating puppy mills and vigorously opposed Pennsylvania’s new puppy mill law, and most recently, fought against implementation of USDA’s new regulations on puppy mills selling over the Internet. Mr. Prager also opposed a law to prevent puppy mill operators from performing surgeries such as C-sections and debarking on their own dogs. Julian Prager seated with AKC lobbyists. This year the AKC allocated $10,000 to oppose Missouri’s new puppy mill regulations. Yet, this is the individual that USDA has hired to assist in the enforcement of the Animal Welfare Act, the law which regulates the same industry that Mr. Prager has served to promote and protect for several decades. Please contact the Secretary of Agriculture and remind him that the AWA stands for the Animal Welfare Act and not the Dog Breeders Welfare Act. USDA’s sole focus, as mandated by Congress, should be on the welfare of the dogs and not the welfare of the substandard breeders’ businesses regardless of how the neglect of their animals is hurting them financially.